Helaina Hovitz, social good journalist and editor, animal lover, nonprofit enthusiast, co-founder of the new site Headlines for the Hopeful, and author of the forthcoming memoir After 9/11, One Girl’s Journey Through Darkness to a New Beginning. 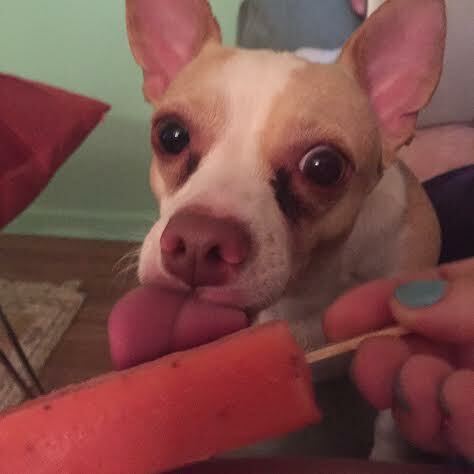 Wiley is about four years old, we think, a male Chihuahua Mix and a rescue—some people think he’s mixed with Corgi, but I think Jack Russell Terrier, and mama always knows best! Did Wiley play a role in bringing your upcoming memoir to readers? Wiley is a publicity machine. He has been working around the clock to try and help me get it out there! In all seriousness, I believe Wiley and I understand each other in a special way because we both had it pretty rough during our early, formative years, and we are both very resilient. We came together at a time where we both finally feel safe in the world. He knows we’re a family and that I’m not going anywhere. Writing about him helped me realize just how similar rescue dogs and rescued humans really are. Wiley just finished his first behavioral therapy session for the curious bouts of aggression that he sometimes experiences while on his walks, and for the doorbell anxiety/barking. I wish he could explain his history to me so I could understand what happens in those moments. I was there as a teenager, too—I wanted to connect with others, but had a hard time interacting socially and tended to become defensive very quickly. Sarah, our trainer at BarkBusters explained that he experiences the fight or flight response while on the leash, and since flight isn't an option...there you go. She also explained that he feels anxiety that causes him to feel the need to protect me and exert control, and that his adrenaline response is automatic and will take a while to unlearn. Turns out he just needs mommy to be more of a leader. I may or may not have cried during the training when his tail went between his legs, but it’s for the greater good of helping him feel safe in the long run! It's like watching myself do CBT therapy all over again. Flavored coffee from our trusty Keurig. Wiley brought it to me at my desk today with flavored Almond Joy creamer and Stevia, the way I take it every morning. Any treats for you or Wiley on this occasion? So many treats, all day, every day. Wiley’s “likes” include turkey based treats, human food, 4-5 walks a day, more treats, snuggles, sitting on mommy’s lap, more human food, and pooping on cobblestones. While we’re at it, his “dislikes” include apparel of any kind and when mommy and daddy try to have “alone time.” He also despises any form of transportation, and when anyone besides grandma and grandpa come to the door. How were you and Wiley united? Wiley is a special case, because we are his fourth home. He was found as a stray by Friends with Four Paws Rescue in Oklahoma, was fostered there until he was sent to Brooklyn where he was fostered again, then was adopted out to a family in Yonkers, who, after a year, had to give him up because of “allergies.” We had filled in applications for other pooches, and a Chi Mix was not one of the breeds I was falling in love with through their photos. 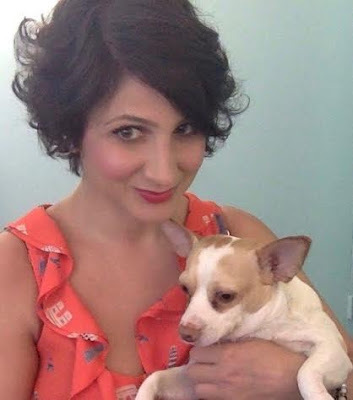 After I met with one of the rescue’s other adoptable pets and wrote an email about how I didn’t feel the connection but would love to keep trying, the animal rescue's president, Leah, gave me a call and we struck up an instant bond. The next day, she texted me and told me they had an emergency situation, and a rare one: they had a “return.” She sent me Wiley’s picture, and I just had that feeling. I took it as a sign. So, we went to pick him up from his old home and bring him to ours without meeting him first. He was nervous in the car and left a little present outside the building after the car ride, but he adjusted phenomenally and almost immediately, like he was still a puppy and we were his first set of parents. It was like he instantly imprinted on me. We signed the adoption papers two days later. We actually aren’t sure, the people who had him before us named him and we decided not to change his name and further confuse him. But we’re guessing it’s because he thinks he’s a tough guy, like Wiley coyote. I’ve been known to call him Cookie, Tough Guy, and my fiancé calls him Wikey, derived from my mother’s autocorrected texts referring to him as such. Does Wiley do more to help or hinder your writing? Oh boy. Sometimes he makes little crying noises when I’m really on a roll, impatient to go out, so that is definitely a hindrance. 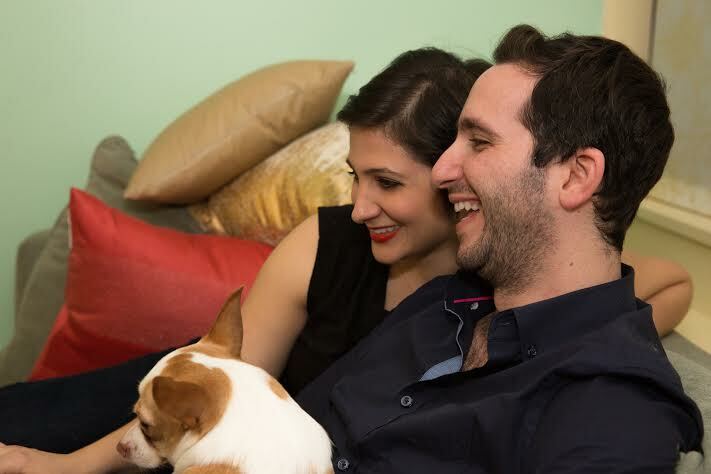 But he’s also kept me glued to my desk at times that I want to break away because he’s a very heavy lap-sitter, which has resulted in me powering through at times when I may not have, so that’s a big help. Fingers. Only fingers. He doesn’t bite hard, so he doesn’t understand why we keep gently tossing toys in his direction. Who is Wiley's best pet-pal? What is Wiley's best quality? His ability to love and trust despite everything he’s been through. He is a total mama’s boy and makes a great shadow. If Wiley could change one thing about you, what would it be? That I have to leave the house. Ever. For any reason. If Wiley could answer only one question in English, what would you ask him? Why are you such a sweet bundle of puppy with some dogs, and what makes you get so mad at other dogs who behave the exact same way? If Hollywood made a movie about your life in which Wiley could speak, who should voice him? Definitely someone with a low, gruff voice, maybe even with an accent. He is a lot tougher and more worldly than he looks. I have a voice I do for him on the daily (working from home doesn’t make you crazy, right? ), but it can’t be replicated by any other human. So, let’s go with Clint Eastwood. What advice would Wiley give if asked? Get yourself a family like mine if you can. They give me first dibs on bed space at night, let me sit at the dining room table sometimes, and spend hours fussing over me like I’m an infant, even though we’ve been together for over a year and I’m, like, 30 years old in dog years. I did well for myself with these guys. So, if you’re a dog still waiting to be adopted, hang in there. Lots of good people are out there waiting to give you a good life. 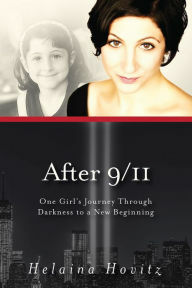 Visit Helaina Hovitz's website, and learn more about After 9/11, One Girl’s Journey Through Darkness to a New Beginning. Nothing better in the world than a little, lovable dog. I've got one at my feet right now! Loved your story. Thanks for sharing it.